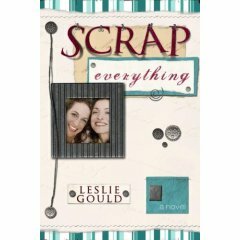 Scrap Everything, by Leslie Gould; 320 pages. How often have you felt something like this – like everyone else’s lives are “normal”, and you can barely keep your head above water? Like if everyone just paid attention and listened to you, everything would work out fine. And how often does that happen? Yeah, I have no idea what “normal” looks like, either, and I have a hard time letting things just "happen". These comments sum up one of the central themes of Leslie Gould’s new novel, Scrap Everything. Much of the storyline deals with change, and how different people view it and cope with it. It’s a story of faith, of learning to let go of what you cannot control, and learning to accept help from others. It’s remarkable how hard a lesson this can be. Perhaps that’s why this particular message hit home for me. Scrap Everything is the story of two very different women, and their families – how they become involved in each other’s lives, and how they struggle to give and accept help in times of need. Elise Shelton is an army wife with two teenage sons. With her husband’s retirement from active duty, she and her family move to her husband’s hometown, a small town in Oregon. She is not excited by the idea of living in “the best little town in the world”, and is relieved by the knowledge that it’s only temporary. In ten months, they plan to move on to Seattle. Which is more than fine with her. She has no intention of settling into life in the small town, and no intention of getting involved. “Involved” could be Rebekah Graham’s middle name. She throws herself whole-heartedly into every project, whether it’s scrapbooking, meeting new people, or her home life. We see evidence of her obsessive nature in her thoughts of getting a part-time job or maybe opening a business. A month later, she opens a scrapbooking store. It's at the scrapbooking store that the two characters meet. At the suggestion of her husband, Elise grudgingly attends the introductory workshop at the store. Elise immediately nicknames Rebekah "Miss Perky", mentally describing her as speaking "in italics and exclamation points…" Rebekah welcomes her into the store, and essentially into the lives of the other women gathered there. After chatting with her a bit, Rebekah impulsively invites Elise to come horseback riding at her ranch that weekend, even though she thinks Elise seems "awfully pretentious". She mentally compares Elise to the "popular girls" in middle school. On this note, they begin their relationship. Of course, there's much more that goes into setting up a virtual book tour, but if you're looking for a general overview, be sure to check out her article. If you're looking for more specifics, as well as an extensive list of tried and true Best Practices, check out my ebook, Build Book Buzz with a Virtual Book Tour. Build Book Buzz with a Virtual Book Tour: eBook now available! My Virtual Book Tour (VBT) was such a success, and I've had several inquiries about how I set mine up. It was trial and error, let me tell you! While VBTs have been around a while, and several companies are running them, there really wasn't any comprehensive resource on the step-by-step how-to when I set mine up. So I sort of felt my way through it, figuring things out as I went. Some ideas worked; some didn't. Some things I would do differently if I were to do another tour now. I have compiled all of these steps, tips, and ideas into an ebook, now available at shop.onescrappysite.com. I wrote this ebook so YOU can coordinate your OWN Virtual Book Tour. Using the specific step-by-step instructions, Best Practices tips, and promotional templates offered in this 20-page ebook, you will have everything you need to create your own book tour, from the comfort of your home! You can promote your book to a global audience -- without all the hassle of international travel! Imagine reaching readers in the UK, Australia, New Zealand, AND China, AND getting to sleep in your own bed at night! With the guidance provided in this thoroughly researched ebook, you be able to target the sites that will provide the best exposure for your book. You will learn about what events to offer during your tour. You will feel comfortable making all the arrangements, and setting the promotional plan in motion -- allowing you to come in direct contact with THOUSANDS of people in your target audience! VBT Candidates -- Who Should & Should NOT Host a Tour? I wrote This ebook based on the experience of facilitating my own Virtual Book Tour for my third book. My tour received RAVE reviews and reached over 5800 people in my target audience! (Most book store tours reach about 50 people per store, if you're lucky). The tour was a huge hit in my niche! BUY NOW to start promoting YOUR book -- from the comfort of your own home! Thursday's stop was at Digital Scrapbook Place, which is based in Ohio. I had done a chat there at the beginning of April to help celebrate their birthday, so it was nice to touch base with everyone again. 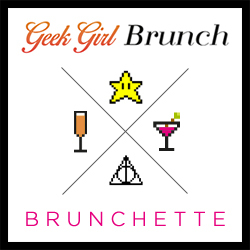 We did a chat on Thursday night, hosted by the talented Jamie Rousselle. I posted a challenge near the beginning of the chat, then answered some questions. Some of the days are blurring together now, so I don't remember if there was a log of this chat. I'll have to ask Jamie about that. This tour stop also included a book review by Jamie, so be sure to check that out, too. If someone wanted to understand the essence of you what 5 things would they really need to know? My husband and my kids are my top priorities. The house is about dead last, much to my husband's dismay. I have a good sense of humor and expect others to use theirs too. Offer me some ice cream and we'll get along fine. I expect others to do their best and work hard, because that's what I expect of myself. Who are your scrapping influences? Who do you admire? I have different heroes for different reasons... Every layout or project I look at teaches me something; I've learned some specific things from certain people. I love Cathy Zielske's and Annie Wheatcraft's clean and simple style. I love Jessie Baldwin's and Jess Atkinson's journaling. I love Faye Morrow Bell's inspiration articles in CK. I love Michelle Underwood's and Rhonna Farrer's digital pages and kits. I love Renee Camacho's and Ali Edwards' photos. and I love Jennifer Ditz McGuire's handwriting, journaling, and use of pattern paper. Yesterday's tour stop was One Scrappy Site, my own website, based (obviously) here in Kansas City. Since several contributors to The Book of US are on my Creative Team, I thought it would be fun to do a twist on the usual interview article by including responses from several of them. So we each thought up an interview question, then answered them all, ending up with a sort of "Round Robin Interview". It was really interesting reading all the different answers! I wanted OSS to be sort of the big "Ta DA!" at the end of the tour, especially with it being National Scrapbooking Day here in the States, but honestly, I am just exhausted nearing the end here. So at least OSS got something a little different -- the "round-robin" interview piece, highlighting the fact that OSS is a site with all this special PUBLISHED talent in one place. Hey? I'm hoping to get another "inspirational" piece up on the site today or tomorrow, and will update the VBT webpage accordingly. The Story Circle Network is dedicated to helping women share the stories of their lives and to raising public awareness of the importance of women's personal histories. We carry out our mission through publications, a web site, classes, workshops, writing and reading circles, and woman-focused programs. Our activities empower women to tell their stories, discover their identities through their stories, and choose to be the authors of their own lives. The Story Circle Network is made up of women who want to explore their lives and their souls through life-writing--writing that focuses on our personal experience, through memoirs and autobiographies, in diaries and journals, in personal essays, in poetry. The Network is for every woman who aims to claim the power of her experience, who wants to map her journey, and who is determined to name herself. The Network is for you. POTH really took advantage of my tour stop, and signed on for about all they could do -- they reviewed each of my books (Book of Me, Growing Up Me, AND Book of US), did an interview article, participated in a layout challenge/contest, AND hosted a chat! Whew! These girls were all so excited -- it was really fun to share their enthusiasm. Site owner Lisa Lee even told me that the design team held a team contest to see who would review the books! Too fabulous! Lisa was really ON IT during the chat on Monday night, because she copy-and-pasted Chat Highlights DURING the chat! Not easy when the dialogue is moving fast and furious! What do you suggest in creating an album for children with special life situations-adoption, divorce, blended families or even special needs children? Would you be more apt to include everything -- step parents and bio parents, the adoption process, details of a disability and how it affects the daily life, etc? Any suggestions ? I would just scrap their lives, probably asking for their input...what do *they* want to document and preserve.what kind of concerns do you have? Personally I would include whatever I was comfortable with If I were spending a lot of time in therapy sessions or at the hospital, those things would have a place in my scrapbook I wouldn't necessarily include graphic photos -- more like documenting a process, or what I was worried about or what helped me through it also documenting all the helpful support people, and our relationships with them also documenting all the helpful support people, and our relationships with them I look at most sb topics as -- would I want to know/understand this about someone else?It helps take the pressure off for me "assuming" someone else "should" find a topic interesting. Do you think it's "wrong" to scrap a "serious top" with fun and bright colors? Would that be lessening the meaning of the topic? Personally, I would probably go with more...elegant colors, but if fun and bright works for you, and helps you get through the situation, who am I to say? What approach do you take in scrapping the "everyday" stuff? I take pictures of stuff laying out not put away, I include snippets of conversations, I stage photos to show steps of a process like making cocoa mix from scratch for DH's morning coffee. I took a picture of my son's friend's shoes laying by the front door...to illustrate that his friends are so comfortable at our house...they take off their shoes the minute they're inside the door. Today I'm at Scrapping with Style -- be sure to check out the Questions for Angie thread, and leave me a question! Tomorrow I'm stopping at Digital Scrapbook Place. Be sure to check out the chat at 9pm Central/10pm Eastern. I'd love to see you there! Yesterday's tour stop was Scrap Outside the Box, based in Missouri, not too far from me here in Kansas City, actually! So the weather was definitely something I'm used to, sunny with a high in the upper 60s. There were a couple of highlight's from yesterday's tour stop -- one was Cristina's interview piece. I LOVE her opening bit -- in fact, I loved it so much, I read it out loud to my kids! They loved it! But not as much as *I* did!! So very clever and totally fabulous! It just set the tone for the whole piece, and made me smile the whole way through! Be sure to also read Cristina's review, and Andrea's review. Another highlight was the chat last night -- there were about 19 of us there at the peak, and we gabbed about just about everything: Scandinavian ancestry, printers & inks, the boom of digital scrappers, FlyLady, Cristina's Me, Myself, & I workshop, and my upcoming classes, among other topics. I found out that Cristina isn't too far from Atlanta, and now it looks like she may be joining me there for my classes there over Memorial Day weekend! Whohoo! Can't wait to meet her IRL (in real life)! When you look back at something you did several years ago, do you like it still, or do you criticize it? I DO like them still -- it makes me smile, thinking about the crop I was at, or the techniques that were hot, or just the memory in general. I don't anticipate re-scrapping old layouts. I want to know about your favorite layout, Angie. Do you have a fave? anything really stretched you? Like, you learned a new technique for it, or worked on it for three months, etc? Oh geez! That's like asking to pick a favorite child! You love different ones for different reasons, ya know? I still love a lot of the ones from BoM (Book of ME), because they helped me through so much. Anymore, most of my layouts take me three months! LOL That whole time management thing! I do love the altered canvas I did as a project example for my BoUS class CD. That was some new stuff for me – lots of mod podge, and the whole canvas thing -- a Scrapbooking on a Wall canvas-type project. How do you tackle difficult subjects in a BOM [Book of Me]? Say slightly difficult relationships with living relations. You don't want to write to whole truth as that would hurt the person if they read it but you can't face doing a super nice page either? There's a number of ways to approach difficult subjects. Scrap what you're comfortable with addressing at this point. If it's too painful or uncomfortable, the topic will keep until you are in a better place to address it. There is no "statute of limitations" on scrapbook topics! If you want to scrap some stories/experiences, but don't want the general "public" to read your journaling, you can use "hidden journaling" on your layout(s). With this technique you journal whatever you want to say about a topic, but "hide" it behind a flap, a pull-out, a card, in a pocket, or on the back of the layout itself. Shimelle Laine shared some hidden journaling tips and tricks on my BookofMe list. A lot of people struggle with the concern, "but what will people think when they see all this 'yucky stuff'"? It's YOUR "yucky stuff" -- you're allowed to write about it, and work through it. You're not "pushing your feelings" on anyone by scrapping unpleasant topics -- you're writing about your experiences, your truth. You are allowed to do this. You can decide whether you think they are ready to deal with it yet. You don't have to share the books with anyone until you're ready. This may be 2 months down the line, or after you're gone. You can also create a separate scrapbook of completely private stuff that you can choose to share with certain people, or no one at all, sort of like an illustrated personal journal. This was my weekend "touring" the UK with my Virtual Book Tour -- it started yesterday at Michelle's blog at Scrapability. I was absolutely floored at the amount of work she put into my stop -- quite flattered, and actually a bit humbled. I only hope she got as much out of it as I did. She seemed quite proud that hers is the only blog on my tour, so she wanted to make sure that the stop was very bloggy - meaning that it made the most of being a blog. She set up a separate blog area for the VBT, then proceeded to post these amazingly well-thought-out posts that must have taken hours of research and preparation. She started the section with my official press release, announcing my upcoming tour, then posted her expectations for what might make her stop different from others in my tour, because of its blog format. She even wished me well when the tour started. Her blog features an amazingly thorough Big Archive of Links, linking to all the elements of the tour so far -- I think she may even have caught some links I missed in my own archive! Even more than all of the above, her insightful entries on blogging memes, applying blog topics to a Book of Me/Us, blogging trends, and the future of blogs impressed the hell out of me. I felt intimidated to comment on these entries because she'd already pretty much said it all! I guess I could have posted, "Yeah! What she said!" but I got an image to uphold, ya know? ;) She put so much work into compiling all the information in these entries -- I love how she ties it all together and gives you a big ole chunk of meaty content to chew on for a while. There are so many classes, magazine articles and day to day usages of “Book of Me”, BOM or Me-Albums nowadays, and you possibly aren’t receiving a lot of money from being the originator of the whole concept. Do you ever regret sharing the inspiration which the Book of Me provides so openly? Read my answer, and the whole interview here. I really enjoyed reading her entries, several times each, and just *thinking* -- contemplating all the possibilities of blogs and blogging, what it is coming to mean to not only the future of mass media, but also scrapbooking. I find all these related concepts fascinating, and it was wonderful to spend the day just kind of mulling it all over. So last night was a message board chat at LifetimeMoments.com. Be sure to check it out -- the thread lasts for *6 pages*! My next project will actually be an update of The Book of ME -- new projects, several new chapters, updating the web resources, and 60 MORE pages -- we're going to DOUBLE the size of the book! I'll put out a page call hopefully in October this year -- look for the revised book to come out CHA 2006. Are there different relationship prompts you have in, " The Book of US," featured in sections? If you're asking are different kinds of relationships featured, then yes! So many people assume that a Book of US automatically means romantic husband/wife or boyfriend/girlfriend. But that's so limiting -- this book encourages people to take off the blinders and see all the relationships in their lives. Anywhere you have more than one person interacting with another -- that can be a relationship. The different chapters look at the histories of relationships (all kinds), theme albums about relationships, incorporating more than one "voice", romantic relationships, family, groups, and friendships. It also looks at circle journals and gift albums. Each chapter offers tons of different prompts related to that chapter's topic. ...The first chapter [of The Book of Us] is about Histories. It talks about different ways to organize a scrapbook that illustrates the history of a relationship (whether friendship, romantic, group, whatever). You could organize it by theme, like college, homes, common interests, road trips, etc. You could also organize it chronologically in a timeline format. There are some super neat examples of both thematic and timeline layouts & albums in the book. You could also organize it alphabetically -- be watching for the challenge later on tonight for some specifc ideas on that one! It might be just the inspiration you need! How do you suggest we get started working on an album for ourselves. I have so many of my kids to do already, it's seems like my list of projects never ends. Should I just pick an album, and start doing one page at a time? Make a theme album instead? What are your suggestions on getting started? Any of the above would be the "right" way to start! So many people paralyze themselves by thinking they have to come up with the "perfect" title page or the perfect topic for the first layout, or that the first layout has to be their birth page. Stop it! Your first page HAS to be...your first page. That's it! Pick a topic and scrap it! It will be perfect because it's DONE! Do you think your kids will care what the topic is if something happens to you? No -- they will just be grateful to have that one page about you. Then they will be grateful if another joins the first. Basically -- every page you do is another page done, and it's a good thing. **Start with some "Jumpstart" topics -- these are very superficial, and don't require any gut-wrenching Rebecca Sower journaling. I am always looking for ideas to record and express my children's sibling relationship, they are spaced out quite a bit in age and I am always looking for ideas on scrapping their relationship. Does your new book reference sibling relationships? Yes, there's a whole chapter on Family relationships. There are some fabulous layouts from Annie Wheatcraft on page 85 that document everyday moments, including snippets of her children's coversations. Her journaling always gets me "right here', ya know? Basically you want to note how their relationship with each other is different from their relationships with other people in their lives. How do they relate and interact differently just between themselves? What do they talk about? What do they fight about? What do they love to do together? What do they love about each other? There's a great layout in the book from a mom whose daughters were sniping at each other, so the dad made the girls sit down and make a list of things they liked about each other. Talk about punishment! But it was a valuable exercise, and of course scrapbooking mom snagged their notes and built a layout around it. Be sure to check out the entire message thread for more thought-provoking questions and answers! Also be sure to check out my challenge -- Everyone who puts something together for this challenge will be entered into a random drawing for prizes from Memory Makers and Karen Foster Designs. Layouts must be posted to the LifetimeMoments Book of Us Challenge Gallery by the end of NSD weekend (must be completed by 8am Eastern, Monday, May 9 th). All who participate in the challenge will be entered in a drawing to win a copy of the Book of Us and the Book of Me ! Thanks to the ladies at LM for a great chat! I appreciate the enthusiastic turnout! Other stops this week have taken me to New York, Maryland, Wisconsin, and Florida! This weekend I head out for the UK for a day on Michelle's blog, and a day at UKScrappers! I'll be such a well-traveled girl at the end of these two weeks! ;) BTW, I put together a fun little map of my travels, so be sure to check that out!